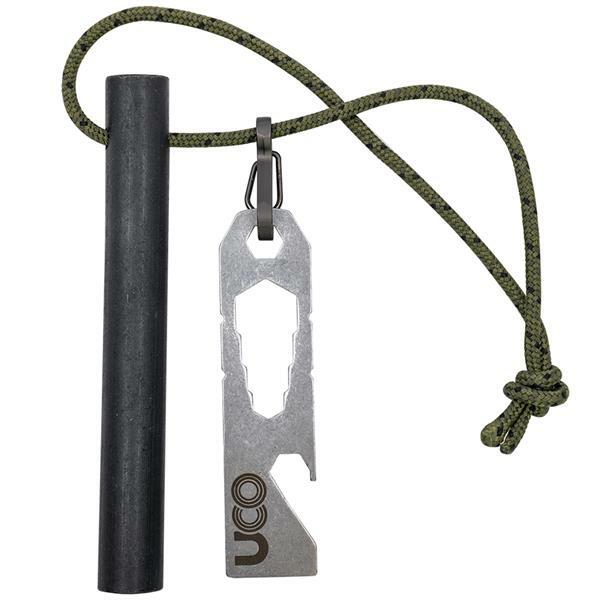 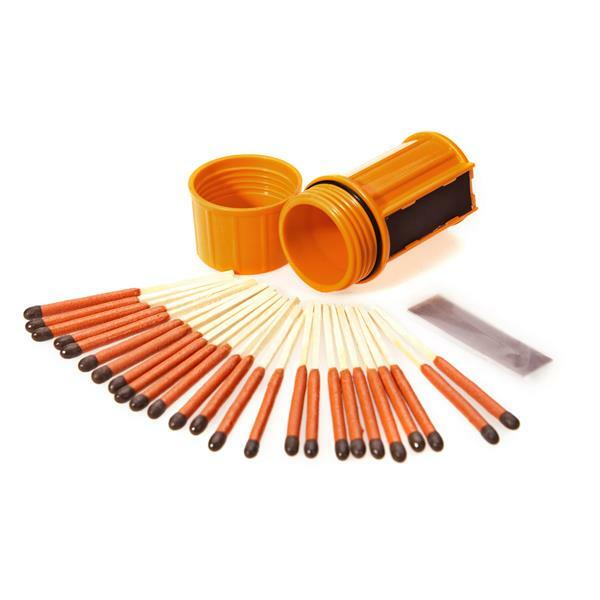 Hedge your bets against the weather with a UCO Stormproof Match Kit. Stormproof Matches are windproof, waterproof and light up quickly and consistently in driving rain, heavy winds and falling snow—and will relight even after being submerged in water. 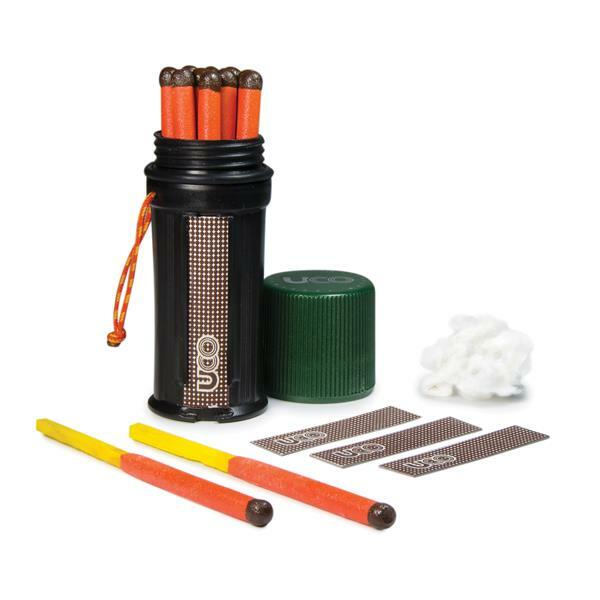 Each kit includes 25 matches, 3 strikers and a waterproof case that floats; the case holds up to 40 matches. 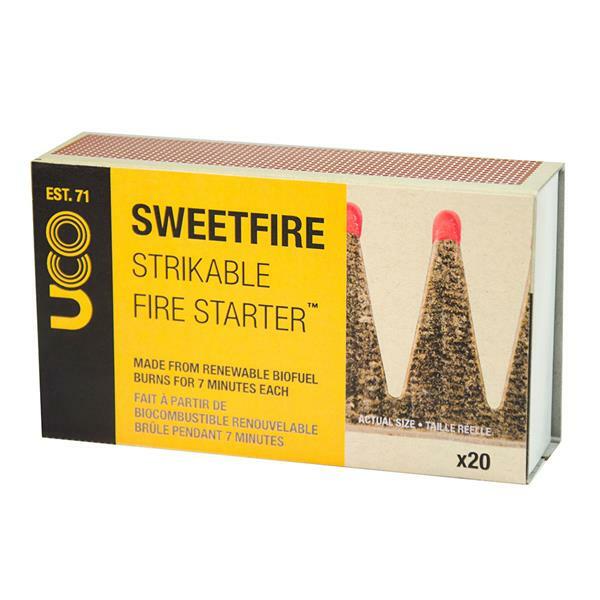 Secure over 6 minutes of life-sustaining fire wherever life takes you, or during whatever Mother Nature throws your way. 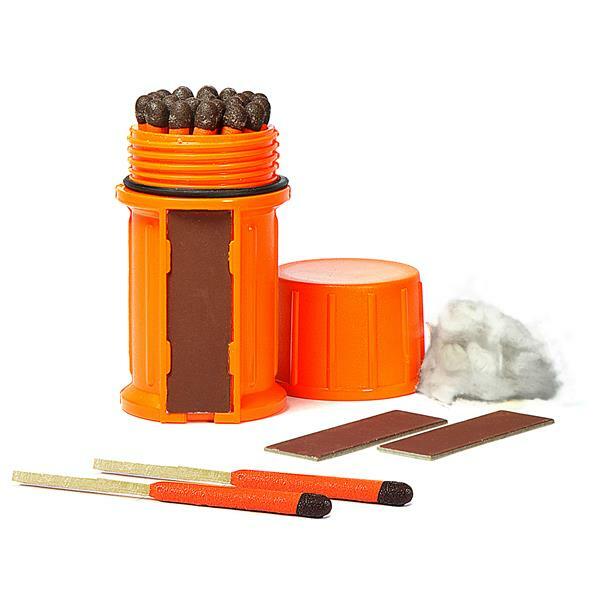 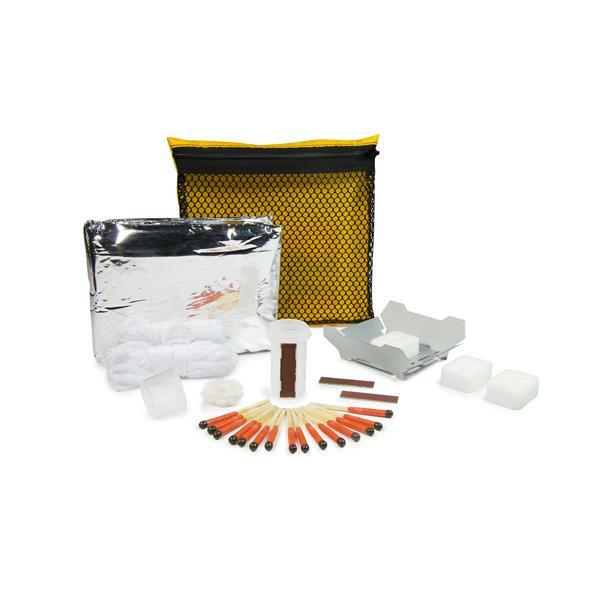 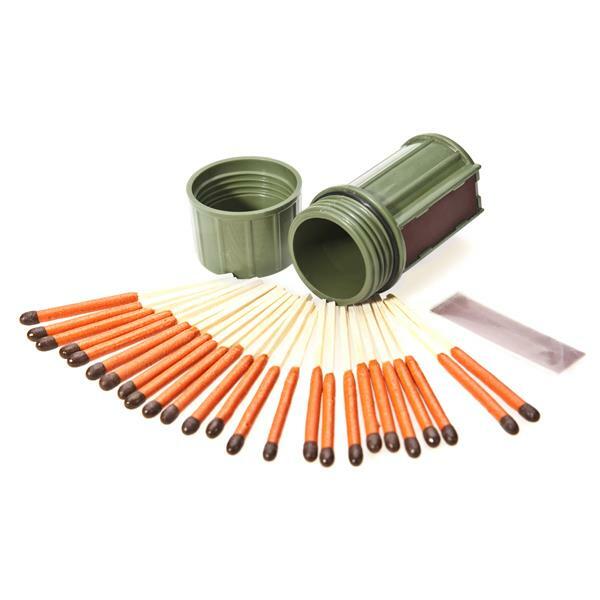 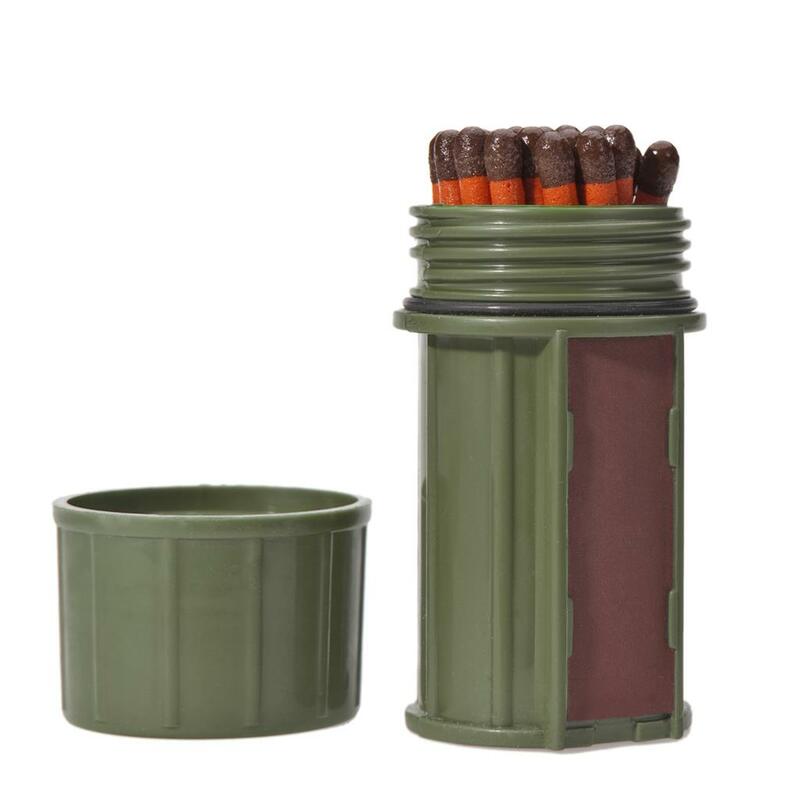 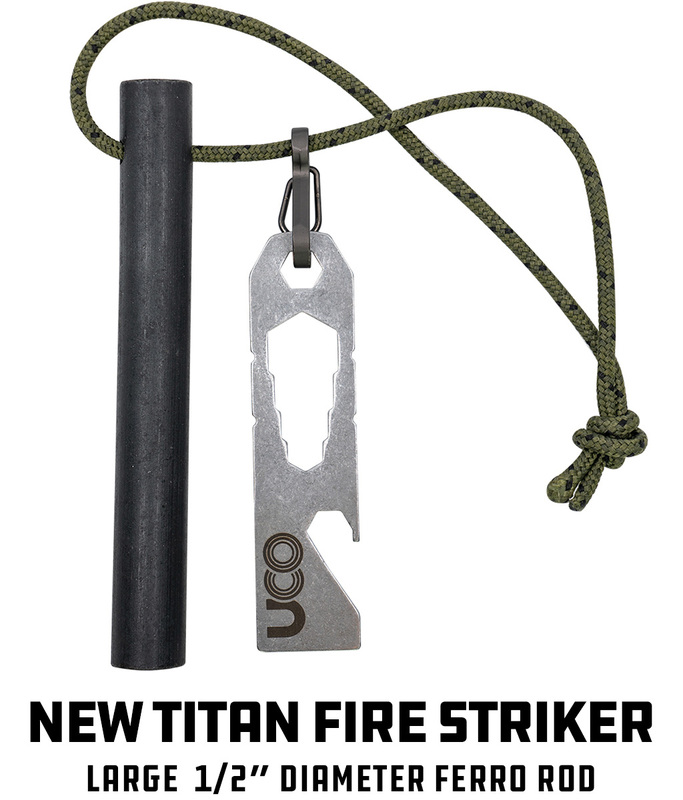 Includes 25 windproof and waterproof matches and 3 strikers. 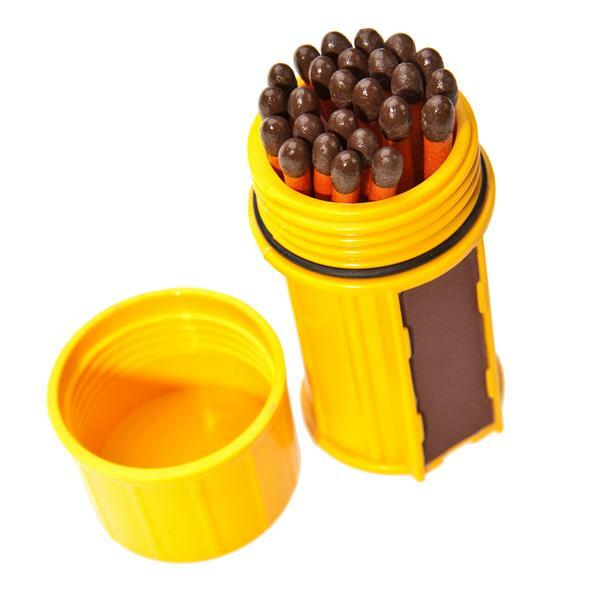 Match case can hold up to 40 matches.